Armed with a shiny new set of robotic HD cameras for their free, live webcasts, the Detroit Symphony Orchestra under Leonard Slatkin delivered a highly diverse and colorful program. Bad weather has made attendance at recent concerts light, but the presence of some well-known pieces and more favorable conditions meant this historic hall was mostly packed. Leonard Slatkin's recent efforts on Naxos with his French forces in Lyon have focused on Ravel, and Detroit also has a storied history with this composer's music. It goes without saying that this effort was highly successful. Slatkin's late career concerts and recordings have been notable for a high amount of atmosphere and character, particularly from the winds and strings. If the Detroit brass have been less successful, they had little to do here, and by and large the issues of balance and nuance that have troubled these players in larger works were not to be found. If there were any concerns, it was that emotionally, orchestral effects did not always convince, in that flow from movement to movement was less than natural. Still, the overall result was very satisfying. Going from Ravel to MacMillan proved quite startling. There is no question that James MacMillan is hugely gifted as a musician, nor is there any question that his devout Catholic faith finds a way to positively influence his compositions. 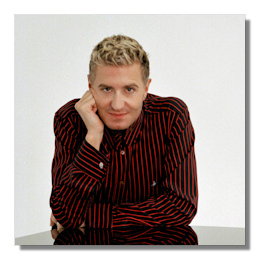 You can't question Jean-Yves Thibaudet, either; he's a magnificent pianist with a wide range of repertoire. The Piano Concerto #3 nonetheless felt oddly out of place on this otherwise populist program. For one, MacMillan's piece is so thoroughly modern. It was written in 2011 and premiered by this very soloist. For another, the concerto is so much more abstract and challenging than the other two very pictorial pieces. Based on the ancient practice of basing music on the Mysteries of the Rosary, the work begins with a simple intonation of the Ave Maria chant. That theme is expanded upon, searched, and altered as the concerto progresses. Sometimes very beautiful, sometimes puzzling, the total package seems less than the sum of its parts. Thibaudet believes in the score, and played wonderfully, but the audience reaction was decidedly split. MacMillan is a serious and convincing writer, but I can understand him not being to everyone's taste. A gloriously spun Chopin encore brought down the house; Thibaudet has always been gifted in this music as well. I saw Schéhérazade to end the 2012-2013 season of this orchestra, and was impressed by young Teddy Abrams' ability to really drive the score home. Leonard Slatkin is a more experienced conductor, and his depth of understanding presented a more polished picture of this ever-popular showpiece. Orchestra Hall is perfect for this kind of work, and the venue rang out with exceptional music making. As with many Detroit Symphony concerts I've seen lately, this took a while to really get going. I found the first movement to be just a touch sluggish and less than ideal in terms of incisiveness. Once past that, it was smooth sailing. Even in parts where I was less than bowled over, I had to appreciate the breathing room that Slatkin allowed for the various colors and mood shifts. And nothing could stop me from appreciating the outstanding solo work on display. Yoonshin Song continues to rise above and beyond as a concertmistress. Add in the new members of the cello section and deliciously crisp woodwinds, and you had a performance to remember. Even if Slatkin didn't really pull out the stops in terms of sheer speed, the impressive bass section and soaring high strings generated ample excitement. The audience responded with gusto; and to be honest I would have paid admission for the last three or four minutes alone. A very fine evening.